Do you want to be a part of something big? 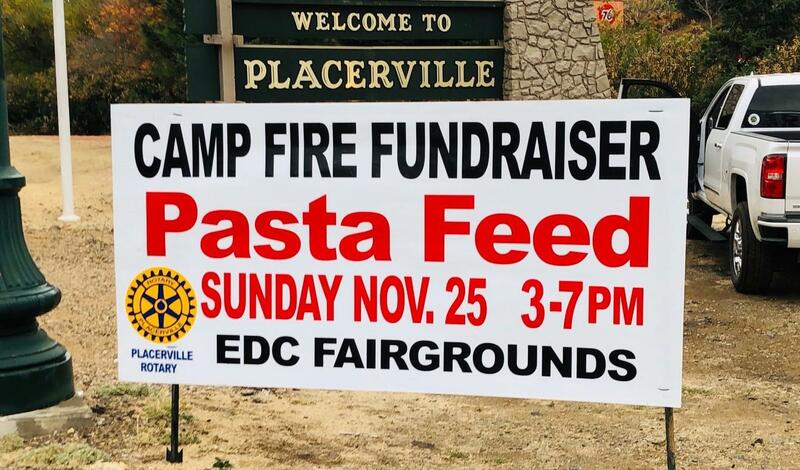 Do you want to make a difference in Placerville and around the globe? If you answered "YES" then Rotary is for you. Rotary needs you. And you need Rotary. Rotary builds leaders that make things happen. Through fellowship we build connections throughout the community and our lives. Our service projects address community needs (Rotary Park, Downtown benches, metal art along Highway 50). Our weekly programs are informative and dynamic (Local musicians, the El Dorado Arts Council, Heritage Flyers, local political leaders, King Fire reforestation). Our events are always fun (Lobster on the River, Bon Voyage Ball). Talk to a Rotarian or just join us. Members start gathering at 5:30 and meetings start at 6:15pm at The Smith Flat House, Placerville. If we aren't there, we are working to make Placerville a better place.